Join the National Religious Campaign Against Torture (NRCAT), which is providing educational, advocacy and worship resources on torture during the month of June. The group is also hosting activities to honor survivors of torture, ensure truth about US torture programs and begin the restoration of human dignity.The theme for the month is Exposing the Truth of U.S. Torture: Restoring Human Dignity. A Torture Awareness Toolkit is available to help you and your local faith community participate in the awareness initiative. The Missionary Oblates JPIC Office is a member of the National Religious Coalition against Torture (NRCAT), and we encourage you to become involved. Last week, PBS FRONTLINE aired Solitary Nation, portraying the brutal reality of solitary confinement in a Maine maximum-security prison. FRONTLINE has made a significant contribution to the work to end torture by revealing, in graphic detail, the heart wrenching inhumanity of isolation. We invite you to view the video, and share it with members of your community. Thoughts and additional resources to consider when viewing the film are enclosed in a viewers guide below, and available for download here. 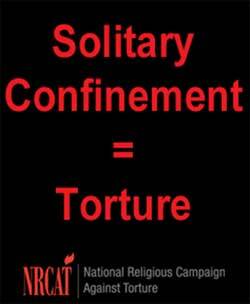 This material is from the National Religious Campaign Against Torture: www.tortureisamoralissue.org, of which Oblate JPIC is a member. We encourage you to observe Human Rights Day during worship services, as a part of your religious education efforts and through advocacy activities during either the weekend of December 6-8, December 13-15, or another time of your choosing. If your congregation plans to commemorate Human Rights Day in any way, please let NRCAT know. December 10 is International Human Rights Day. 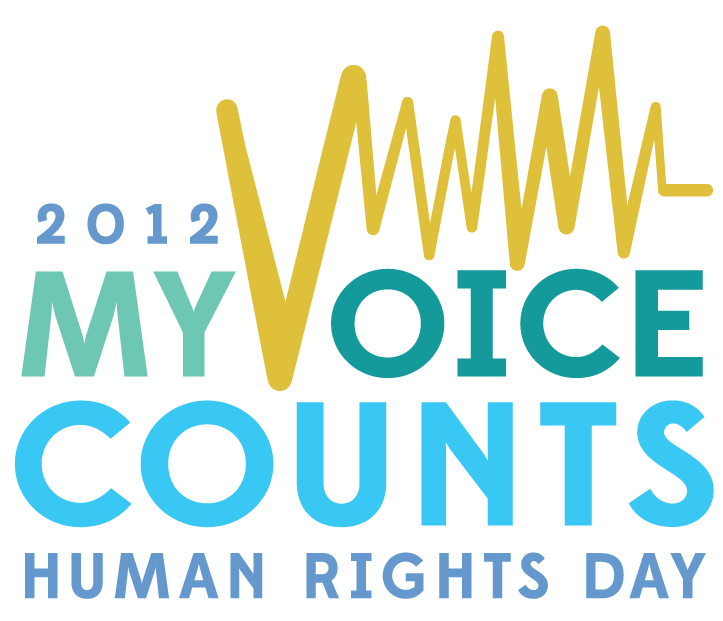 The theme for 2012 is My Voice Counts: Inclusion and the Right to Participate in Public Life. The National Religious Campaign Against Torture (NRCAT), of which Missionary Oblates JPIC office is a participating member, is encouraging the celebration of Human Rights Day in your own community, parish or congregation. View here for resources to celebrate international human rights day. Celebrate Human Rights Day in your congregation the weekend of December 9-11. The National Religious Campaign Against Torture (NRCAT), of which Missionary Oblates JPIC is a member, has prayers, worship and action resources for Human Rights Day available on their website. Visit NRCAT: Human Rights Day and work to prevent torture.